I remember when my mother decided to become a foster carer. I remember the visits from social workers and the endless forms she had to complete, and the time it took for her to be approved. I remember very clearly when she received her first placement – a 4-year-old boy was coming to live with us for a while. I also remember vividly how I felt when I was told that he had one leg. I instantly felt uneasy as I imagined a Charles Dickens Tiny Tim type character. I imagined him having a sad look in his eyes, being quiet and withdrawn and struggling to walk on his crutches. As I walked home from school the next day I was reluctant to go home because this poor child would be waiting, probably crying and saying “please sir, may I have some more” after each meal. Except I walked in through the door to laughter, finding a little blonde boy rolling around the living room floor, playing with our big gentle dog. He saw me, smiled, and shouted “hiya”! For the three years he lived with us he was always laughing, running, playing, chatting. He was interested in, and enthusiastic about, everything and not once do I remember him having a tantrum or complaining. A boy with one leg became normal for us. In the evening he would take off his leg and hop happily around the house. It didn’t bother or disturb us to see him like that. Why would it? He wasn’t bothered. But it did bother other people. I quickly realised that his disability upset others and made them feel awkward. Once, on a shopping trip, he was sat in the shopping trolley’s child seat. My mother asked me to help him out of the chair while she paid. As I pulled him out, his leg fell off. He found it funny and I found funnier, and eventually we were laughing so hard that I struggled to get it back on. Passers-by looked on in horror as a teenage girl laughed uncontrollably at this poor boy with no leg. I also remember a day we spent at the beach when he decided to use his leg, instead of a spade, to build a sandcastle. Onlookers were shocked, mortified, didn’t know where to look. It was as though they expected him to act like a character from a victorian novel, just like I had not so long ago. My past experiences are probably the reason I was so in awe when I heard about The Alternative Limb Project. Every morning, on my 6:38am commute, I join other commuters in reading the metro while sipping a much needed latte and rubbing my sleepy eyes. Last week, an article woke me up from my usual dazed journey like an injected shot of caffeine. The topic? Bespoke limbs. The designer? Sophie de Oliveria Barata. 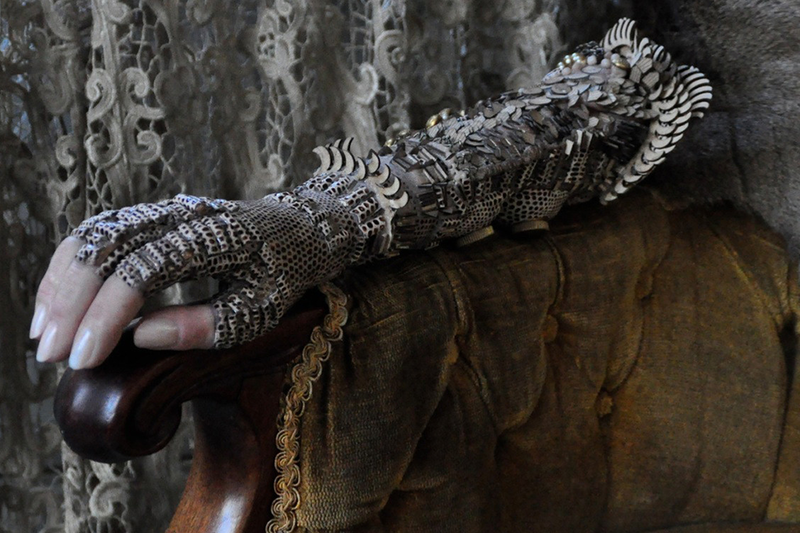 Sophie de Oliveria Barata, a London based designer and director of Alternative Limbs, creates beautiful bespoke limbs for amputees. The image which accompanied the article was of Viktoria Modesta, who had a custom made leg with an in built stereo. The image was stunning, striking and unique. I wanted to find out more about The Alterative Limb project and more about the stories behind the people involved. Viktoria Modesta, a leg amputee, provides an empowering account of her journey and what losing her leg ‘added’ to her life. Viktoria, born in Soviet Lativa, had her leg damaged at birth due to the negligence of a doctor. Her leg was set in a caste but left too long resulting in nerve damage. By the age of 6 she was left with one leg 7cm shorter than the other and considerably thinner. She underwent several operations to correct the mistake but each made the injury worse. In 2007, Viktoria took the decision to have a below the knee amputation – something society typically deems tragic, traumatic and devastating. However, Viktoria describes her decision as empowering and exciting – her leg was unhealthy and her choice gave her the power to take ownership and control over the situation. She felt she had to hide her disfigured leg, unable to wear heels and short skirts in the summer. Her new leg however, is so obviously bionic and challenges society’s perception of amputees and disabilities, it pushes the boundaries of fashion and altered beauty. But despite the fact that society has, in the past, been challenged about it’s perception of beauty and disabilities, it’s only recently that this message has started to sink in. 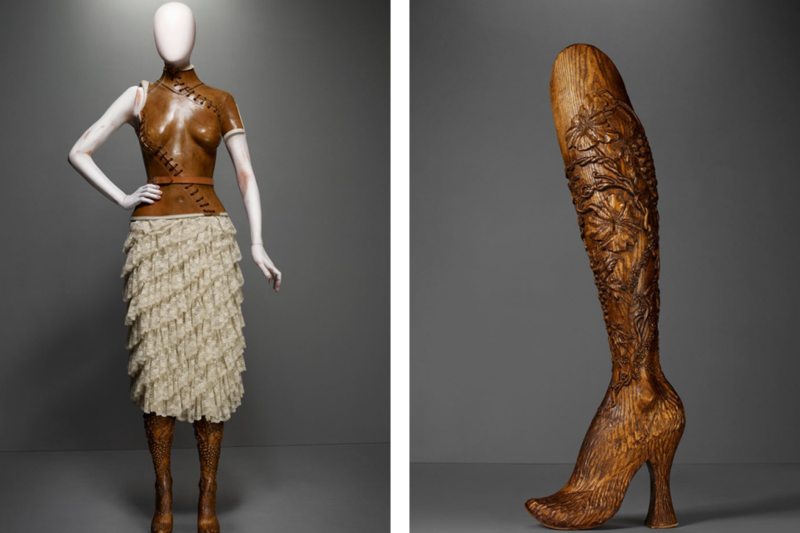 Way back in 1998, Alexander McQueen used double leg amputee, Aimee Mullins, to open his London show, wearing a pair of hand-carved wooden prosthetic legs made from solid ash. Not a surprising move by McQueen who was always able to find beauty where others cannot, however this was the only disabled model to be used in a high fashion campaign, ever. But, despite McQueen’s status in the fashion world, it unfortunately did not break down any barriers for disabled models. 10 years later in 2008, Britain’s Missing Top Model was aired which once again aimed to break down the misconceptions about disabilities and challenge the fashions world’s mindset. It was interesting, different and certainly raised some vital questions about the fashion world, but again nothing seemed to change and, apart from McQueen who could always be counted on to mix things up, most previous attempts have tried to hide a disability rather than embrace it. Comments such as ‘you can hardly notice it’ are seen as a compliment. This is what is so remarkable about The Alternative Limb project. Rather than trying to camouflage a disability, it puts it out there for everyone to see. Does this show that perceptions are changing? Is society beginning not only to accept difference and alternative beauty, but actually embrace it? Fashion is, and always will be, inspired by social issues. The last decade has been marked by economic deprivation, terrorism and the war efforts in Iraq and Afghanistan. We have sent our service men and women off to war and some have returned with serious, life changing injuries. We have watched devastating bombings on the London Underground which have touched us all in some way. From all these events we have heard horrendous, gut retching stories that would make only the coldest heart feel nothing. But from these events we have also heard awe inspiring stories that would make anyone question why they complained about the bus being late this morning. The London Paralympics further challenged our ideas about disabilities with Channel 4’s notion of The Superhuman, rather than the disabled. The Paralympics encouraged us to see disabilities in a different light. Martine Wright lost both legs in the London Underground bombings in 2005. She was running late for work and jumped on the tube. She sat next to the suicide bomber. Wright now sees what happened as part of her journey rather than angrily reliving the events of 7/7 and states that she loves sitting volleyball because it gives her a sense of freedom. She fully embraces her disability. That boy that came to live with us all those years ago is still as enthusiastic and upbeat as he was when he was 4 years old. Despite the problems he has faced as a child in care, he has embraced his disability by competing in various kickboxing tournaments and representing the Welsh wheelchair basketball team. I think it’s time that society got over its awkwardness towards disabilities and started to accept it as a normal part of the world we live in because really, these misconceptions and preconceived ideas are just our own insecurities being forced upon others, something I managed to get over when I was fourteen thanks to an inspiring little blonde boy with one leg. Visit The Alternative Limb Project for more information.